Obtaining credit for your Indiana business with no personal credit check and no personal guaranty is very appealing. One might say this is the holy grail of owning a business, being able to obtain massive amount of funding using the business itself as collateral. Make sure you start by incorporating your business and make sure you obtain a Federal Tax ID#. Insure you setup a business bank account and that the business name on your corporation papers is the same as on your business bank account. Insure you have a business land-line number that is listed with 411. Insure you have the proper businesses licenses for your business that you need in your state. Pay business bills that report to the business credit reporting agencies ahead of the due date. The earlier they are paid, the higher your business credit scores will be. Build solid payment history with many accounts being paid as-agreed or early each month. Building excellent business scores means you have many accounts reporting as paid-as-agreed. So get your credit, then keep using your credit to build a solid profile. 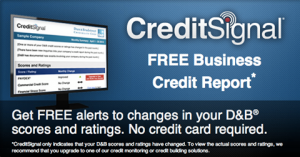 Monitor your business credit file. Keep an eye on your scores and the accounts that are reporting. Establish a minimum ‘low 5’ bank rating by establishing and using bank credit. 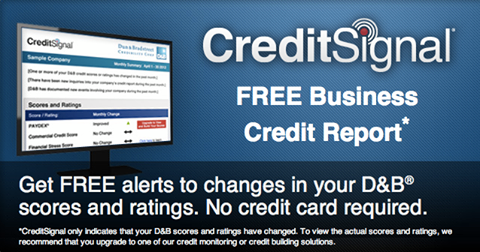 Open a small business credit line that reports on your business credit profile. Credit lines have high limits and reflect positively on your business reports. Establish a diversity of credit using multiple store and Visa, MasterCard, and Amex accounts. Establish a well written business plan as many lender will want to see this to approve you for funding.